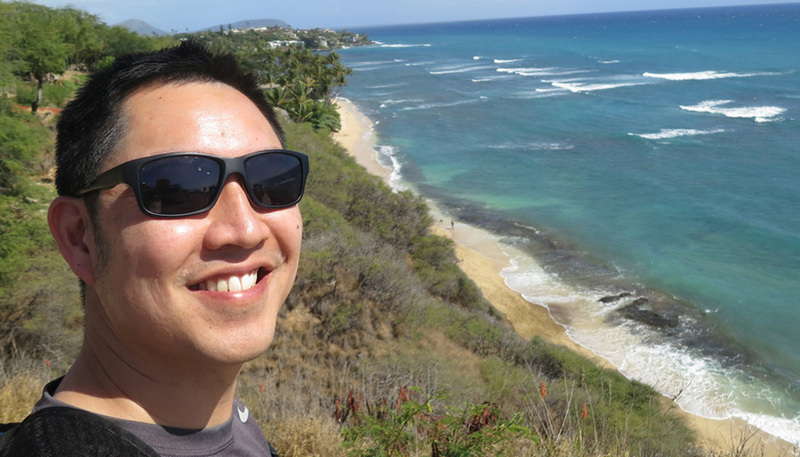 Enjoying the south shore of Oahu with a bike ride and hike in some fantastic weather! Born and bred in the Bay Area. Currently residing in the Berkeley area. Always has an eye out for anything related to comics and art. Loves the Golden State Warriors (Go Dubs!) and pickup basketball on the weekends. Has a strong interest in the growing world of sports art. Pretty much down to eat sushi whenever. Proud two-time alum of UC Davis (Go Ags!). Earned a Bachelor of Science in Managerial Economics and a Masters of Business Administration. Also alum of The Art Institute of California – San Francisco with a Bachelor of Science in Media Arts & Animation. Honored to be a part of Image Comics during its time in Berkeley, California. For 12 years, served in the Production Department working on book design/production and marketing assets. Started as an Intern and worked up to Production Manager. Oversaw the workflow of over 3,800 books, t-shirts, posters, prints, and stickers from 2012 through 2016. Followed that up with a freelance stint doing illustration, graphic design, and print production projects for clientele including Bleacher Report, BR Kicks, Skybound Entertainment, Image Comics, and 12 Gauge Comics. As of November 2018, elated to be part of Salesforce’s Trailhead department, working as a Senior Studio Production Designer! On social media at Twitter and Instagram.